Build mobile-friendly landing pages for each of your offers, programs and campaigns with full tracking capability that allows you to measure and drive conversion. Choose from a wide range of professionally designed templates, or create your own unique designs! 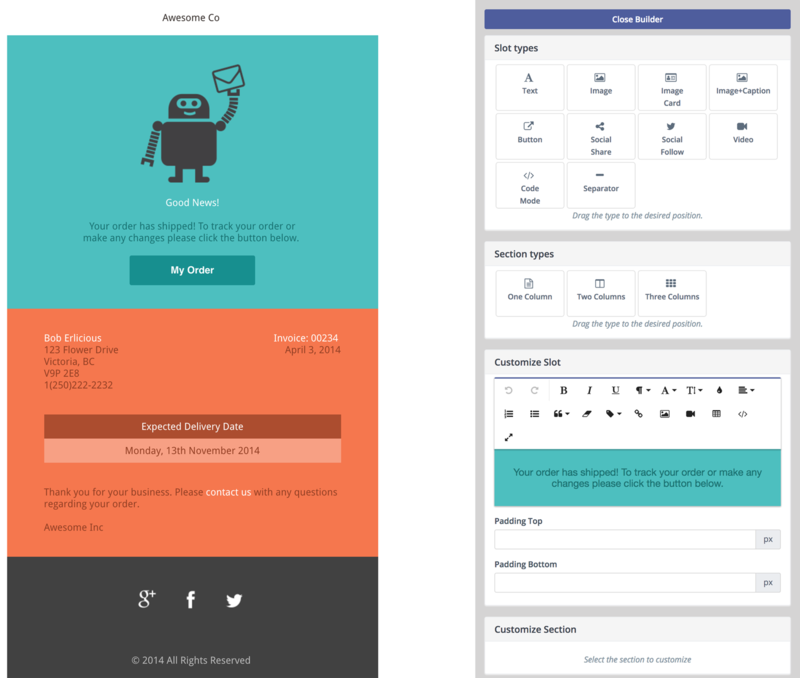 Within the Landing Page Builder, you can simply drag Text, Button, Image or Separator content elements into slots. Then you can customize the layout for slots or sections within the page. Each published landing page tracks the number of hits it gets, adds visit history to contacts, and also tracks downloads of content assets. 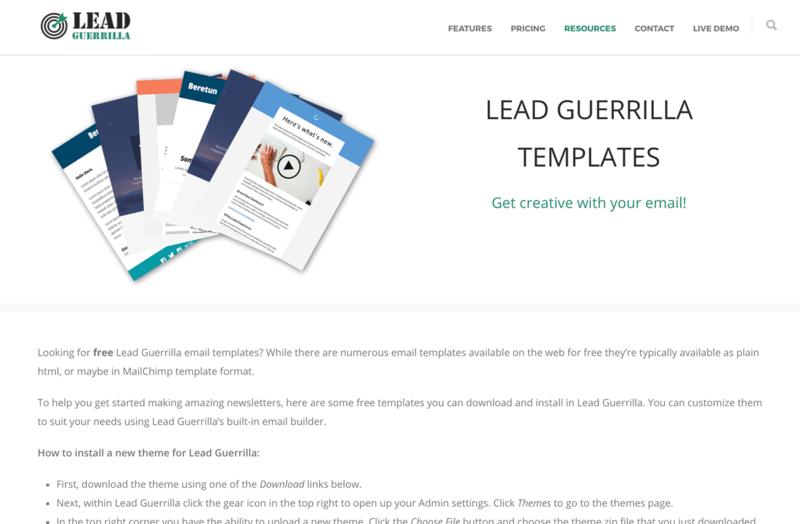 As Landing Pages are so critical to your Marketing Automation success, Lead Guerrilla supports the ability to have two alternative versions of a Landing Page, and lets you pick a winner after using them both for a while. This process is called A/B testing. Dynamic content is content used on a Landing Page to present more personalized information to a visitor. 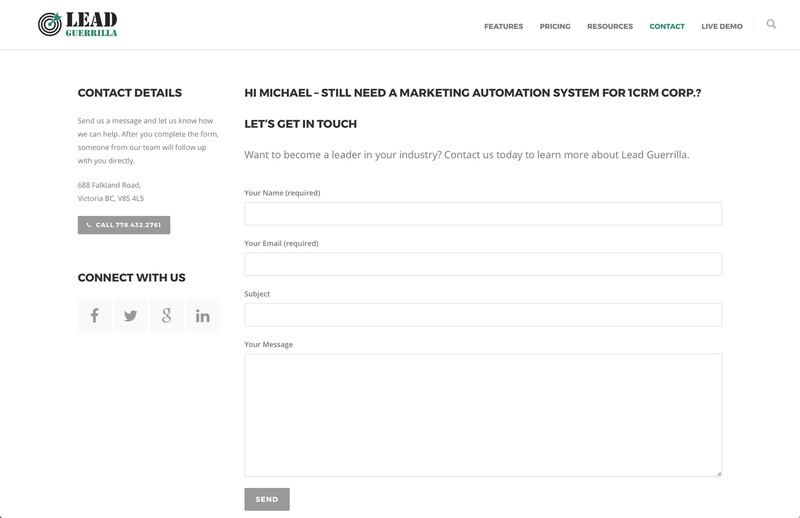 As a simple example a Landing Page could show the text “Hello Samantha” at the top of the page, if Lead Guerrilla has identified the visitor as a known Contact.